The CNA Classes with approval from the registry that are available in St. Louis, Missouri are all shown to you in the list below. Call one of the facilities listed on this page to speak with a school coordinator about how their program can help you achieve certification which will allow you to be hired in care homes and hospitals. All you need to do to become a nurse aid is to get your name on the Nurse Aide Registry. This can only be done by passing both the written and the skills evaluation exam of the license exams. One way of becoming eligible to take the exams is by applying for it once you have graduated from a 75 hour CNA training course, and completed the 100 hours of clinical practice. To be able to enroll in a school program in Missouri one must be at least 18 years of age (or be taking a vocational high school course), not be on the state disqualification list, and be free of any disqualifying convictions. Nursing students may also apply by submit a copy of their transcripts that shows that they were able to take and pass the Fundamentals of Nursing, a copy of their social security card, and their contact information such as telephone numbers and return address. Another way of being able to take the exams is by applying for reciprocity. This option however, is only applicable to those CNAs who have an active status on a different state’s NAR. When they apply, they will also need to show their contact information, a copy of their social security cards, and proof of their education and training. Once the Registry receives the paperwork, please allow 7-10 working days to get a response. The license exams are made up of a written exam and a return demonstration on randomly selected nursing skills. To receive a certificate, the applicant must be able to pass all the tests. Once they pass, the testing center will be the one who will send the documents to the Registry. After completing the exams successfully you will be added to the online registry used by employers to verify your license credentials. Your active status needs to be renewed every two years and you should receive a notification when your due date is approaching. To renew you will need to show proof of having worked 8 hours within the previous two year period. This is usually accomplished by having your employer provide work verification that you can submit to the state. If you miss your renewal date, and have worked 8 hours in the past two years, you will need to follow a few steps. You will need to get proof of employment and submit it to the state registry. Proof of employment may be getting a letter from your employer stating the dates of your employment, a copy of your W-2 form, or a copy of your pay stubs. You can call the Missouri Department of Health and Senior Services to speak with one of their support staff at 573-526-5686, or email them your questions at: info@health.mo.gov. This is an independent city that is situated on the eastern border of the state. According to the 2008 census, their total population has reached to 319,294. It is considered as the 58th largest city in the country. It has a total area of 66.2 sq miles and a population density of 5,158.2/sq mile. It was founded back in 1764 by Pierre Laclède and Auguste Chouteau. The major hospitals in the area include Barnes-Jewish Hospital, St. Louis Children’s Hospital, SSM Health Care’s Cardinal Glennon Children’s Hospital, and BJC HealthCare, SSM Health Care. Other health care centers include Tesson Heights Orthopaedic, Doctors ExpressAngelica Healthcare, and Healthcare Group for Women. CNA certification in Missouri can be one of the best ways for one to gain entry-level position in a healthcare facility. With a certification, one can apply at several healthcare facilities in this state as well as make that as a basic step into more advanced positions. 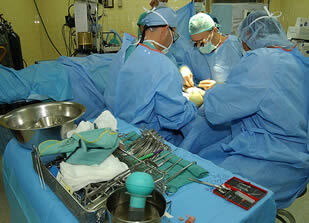 This type of work involves giving personal care and grooming to patients as well as giving needed aid when necessary. 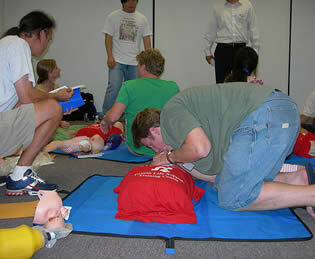 The CNA training that you should attend must be one that is approved by the state’s department of health. It should have at least 75 hours of classroom training plus 100 hours of clinical practice. Applicants should also be at least 18 years of age and is not in any manner included in the state’s disqualifying conditions. The application should also pass the criminal background check in both state and federal levels. Those who are already working at a nursing facility should be able to enter a state-approved training program within 4 months from the date that they were hired. 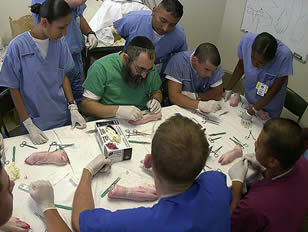 The training also includes a final exam for measurement of his or her competency. Those who are also enrolled in nursing programs are also allowed to take the state certification exam. They have to present only their transcript which would show that they have taken basics or fundamentals of nursing in their course work. They are also required to present their social security cards to apply for the exam. The required training is waived by the government for such instances. 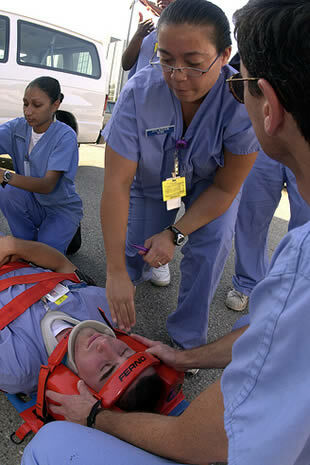 After completion of a training program, a person can challenge the state’s nurse aide examinations. It includes both a written or oral part as well as a clinical exam which will measure the candidate’s capacity to perform nursing aide skills. The applicant is allowed to take the exam twice within a 90-day period. If he still fails after those two, he would be required to undergo the state training again. Examinations are held in community colleges or on nursing facilities. One can apply to retake the exam on the same day if he fails any part or all of the exams. Applicants can also apply for reciprocity if they are current holders of certification from another state. They need to submit a copy of their certification, their social security number and card, as well as proof of employment as CNA for at least 8 hours in the past 2 years. They should also have a background check which should come out as free from any disqualifying crimes or felonies and they should also be in good standing from the state where they currently have their certification. You will need to contact the MO Nurse Assistant Registry for further details about qualifications. The license is renewed every 2 years with the corresponding requirement of at least 8 hours of work for the past 24 months. If he fails to do so, his account will be considered as inactive. If the applicant fails to be employed as a nurse aide for 5 consecutive years, his account will be considered expired and he will be required to retake the training program. The state also requires 12 hours of in-service training for every year. Visit this page to find the certified nursing assistant classes in Missouri. The Missouri Certified Nurse Assistant Registry provides the list of eligible nursing assistants who can be employed by long-term care facilities as health workers. They are those who have complied with the state’s regulations with regards to completion of an accredited training program, have passed the state’s competency exam and have continuously complied with the required number of work hours needed in order to remain in the registry. To know whether an applicant has a current active status on the registry, you will need to visit the registry’s website. On the registry, there are several types of license status which you can encounter depending on the nurse assistant’s work. There is the Missouri Registry Active CNA Status which means that the nurse assistant was able to comply with all the regulations and can be employed by a nursing facility. This means that the he or she also has continuously worked for a certain amount of required hours in order to remain in the registry. If you want to hire the said health care worker for their services, you can do so. The next is the Missouri Registry Inactive Status. This means that the worker has taken and passed an accredited nurse aide training and has passed the competency exam but was not able to provide evidence of any paid work for the past 24 months in the capacity of a nursing assistant. Once the applicant fails to comply with the said requirement, his or her registry status will be inactive and they may not be hired in any long term care facility. The applicant must then file a request to change his or her status to active by showing any proof or evidence of paid employment. The Expired Status means that the person has not worked as a nursing assistant for at least 1 day for the past 5 consecutive years. They can file a request for a status change by providing proof that they have worked for at least 1 day as a paid nursing assistant in an accredited facility. This also means that the person cannot be hired and will have to retake a training program again. One thing that employers should look for when searching for nursing assistants in the registry is the Federal Indicator. This is a note which is attached to the profile of the nursing assistant which shows any record of abuse, neglect, or misappropriation of any personal property of a resident. The employer has to look this record up first before employing anybody in the capacity of a nursing assistant. The Registry is also a way for employers to request reimbursement for Medicaid billings. They only need to enter the nurse assistant’s full name and social security number in order to avail of the said reimbursement. You can visit the website to learn more about the services that are being offered by Missouri Certified Nurse Assistant Registry and to acquire information regarding the licensure status of a particular potential employee that you wish to hire. you can read more about MO nurse aide requirements to become certified to work on this page. Joining nursing assistant classes in West Plains, Missouri is one of the best ways to get the skills required to pass the certification exams. Programs will teach you the basic health care procedures needed on the job and provide you with actual hands-on practice performing tasks. Call the facility to learn more about enrollment availability. Getting into an instruction program is the first step in becoming a nursing assistant. By completing CNA classes, you will become eligible to challenge the nursing assistant license exams. If you pass both the written and the skills demonstration exams, your name will then be entered on the NA Registry of the state and you will be allowed to work as a nurse aide. 1. You must be 18 years old and above. 2. Your name must not be on the state’s Department of Health and Senior Services employment disqualification list. 3. You must not have been found guilty of crimes that prevent you from working as a nursing assistant. Once you enter the program, you will be spending a total of 75 hours in classroom lectures and laboratory works, as well as another 100 hours for the clinical rotation of your training. You will be taught different concepts which you will use in taking care of the residents like infection control, promotion of safety and independence, respecting the rights of the residents, and certain emergency procedures. Those who have finished a training course or received a letter of approval to challenge the exams may schedule a test date. The exams have two parts which are a manual tasks demonstration and a written multiple choice quiz. Applicants are required to pass both parts before they can be officially certified and added to the state’s registry for nurse aides. Once listed there you will be included in the searchable database employers use to verify your certification before hiring. You will need to renew this listed every 24 months. This is accomplished by submitting verification of time on the job from your employer. West Plains is the county seat of Howell County. It is also part of the West Plains Micropolitan Statistical Area. According to the latest census, their total population has reached up to 10,866 people. West Plains has a total area of approximately 12.4 sq miles and has a population density of 879.0/sq mile. The CNA program open for students to join in Waynesville, Missouri are listed for you on this page. training will offer real-life skills practice and health care theory to help you be prepared for the competency examination. To learn more about how to enroll, call to speak with a school coordinator. If you want to work in the medical field, then you should start to consider becoming a nursing aide. This type of profession is one of the most sought out for in the field nowadays. The demand is also believed to continue to increase in the years to come. The first thing that you need to do to become one is to find CNA classes to enroll in. 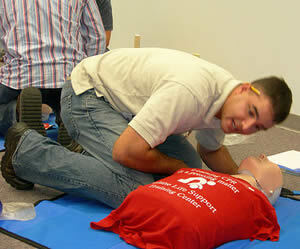 The training classes in Missouri are composed of 100 hours of on-the-job training, and 75 hours of theory. There is also a 2-part final exam that you will need to take to complete your training. Taking on the license exams is the only way for you to get your name on the nurse aide registry and your certification. You will need to maintain an active status on the Registry to remain eligible to work in a long-term healthcare facility. 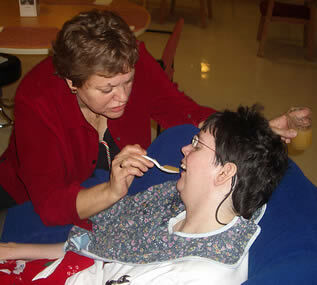 To do this, you must work for at least 8 hours as a paid nursing assistant every 2 years. Failing to do this will change your status into inactive, and you will no longer be allowed to work in a nursing facility until you reactivate your status. An inactive status can be reactivated by simply taking on the evaluation exams. When you apply for this, you will need to submit a copy of your social security card, contact number, address, and send them to the Registry. Please allow 7 to 10 days for the response. Waynesville is the county seat of Pulaski County. You can find this city in the heart of Missouri Ozarks. This was once one of the many communities that were served by Route 66. According to the latest census, their total population is now at 3,507. It has a total area of 6.2 sq miles, where all of it is land. Its population density is 563.3/sq miles. Major routes that you can find near the city include Route 17, Interstate, 44, and Highway 32. Aspiring nursing assistants can find schools that are offering instruction in the town of Washington, Missouri that are available for enrollment listed below. By joining a program one can get practice using the skills of the job and gain the knowledge required to pass the competency exams. If you are planning to become a nursing assistant, you will first need to learn the necessary skills and knowledge that you will be using when you take care of the patients. 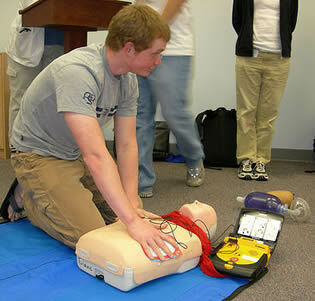 To do so, it is recommended that you enroll in state-approved CNA classes. These programs will offer you 75 hours of classroom lectures and another 100 hours for clinical duties. It is possible to avoid taking the training and attempt to challenge the examination. However, to be able to do this you must receive a letter of approval from the MO Department of Health and Senior Services. you can email them at: info@health.mo.gov, or call them at 573-526-5686 for further information about how to qualify. For your name to be entered on the NA Registry, you must pass both the written and the skills demonstration exam. If you fail one part of the exams, you may immediately retake the exams if the examiner allows it. For those who are already working as a nursing assistant, they must graduate from a training course and pass the exams within 4 months from the start of their work. CNA certifications in Missouri only last for up to two years. To remain eligible for work as a nursing assistant, you must renew it before it expires. To do this, you must be able to work at least 8 hours with pay within that time. 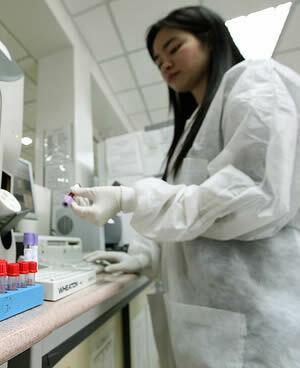 For those who are working in a licensed nursing, they will also be required to undergo a 12-hour in-service every year. This city is a part of Franklin County. It is situated on the Missouri River. As of the latest census, their total population has now gone over 13,243 people. Washington, MO is considered as the corn cob pipe capital of the world. It has a total area of 9.0 sq miles and a population density of 2,355.56/sq mile. This city was named after George Washington. These are the schools in the town of Union, Missouri that are providing nurse aide programs at this moment. Signing-up for instruction will provide you with 75 hours of instruction and qualify you for 100 hours of clinical skills practice toward the competency exams. Those who wish to be certified nurse aides need to enroll in a state approved traininbg course and pass the examinations for certification. Classes will offer you skills and theory instruction which will prepare you for the job as well as for taking the exams. To learn more about receiving your license you can call the Missouri Department of Health and Senior Services at 573-526-5686. The demand for nursing aides is continuously on the rise. Because of its high demand rate, not only in Missouri but in other states as well, fresh graduates will not have any problems looking for jobs as a CNA. Because of the increased number of students, there is also now an increase in the demand for RNs to instruct and supervise them. 1. Be an RN that is licensed in the state. If not, then they must at least have a temporary permit from the state’s BON. 2. Have at least 2 years of experience working as a RN where at least 1 year was spent working in a LCT facility within the span of 5 years. 3. Also enroll and complete a Train-The-Trainer program. 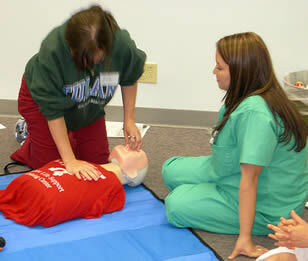 After completing the course, the applicant’s name will automatically be entered on the Nurse Aide Instructor Registry. You should contact an associate of the Missouri Department of Health and Senior Services to speak with someone regarding any questions you have by calling 573-526-5686, or reach them through email at: info@health.mo.gov. Union City is the county seat of Franklin County. As of the census of 2010 their total population has now reached up to 10,204 people. This city is considered as the fastest growing city in the entire county. You can find this city situated near the Bourbeuse River. Union was founded back in 1827. It has a total area of 8.1 sq miles, where all of it is land. Its population density is 959.9/sq mile. If you want to learn how to become a nursing assistant you can find classes in Sunset Hills, Missouri that you can enroll in on this page. Course will teach you the health care fundamentals and provide hands-on practice using the techniques and tasks used in care facilities. To find out more call a school phone number and speak with a program coordinator. To be able to work in Missouri as a nurse aide, you must have an active status on the state’s Nurse Aide Registry. 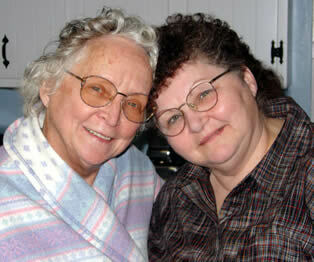 Only those who have an active status on the Registry are eligible to work in a long-term care facility as a CNA. To keep one’s status active, you must be able to work for at least a day as a paid nurse aide every 2 years. To enter a school program there are several requirements. They are that you are 18 years old (or enrolled in a high school vocational class), be free of any disqualifying convictions, and not be listed on the state’s employee disqualification list. Once enrolled in a course you will train for 75 hours in the classroom and 100 hours in a clinical setting. Those who complete the course can set a date to take the competency exams which have two parts. Completion of both portions of the test which include a written and a skills part means you are certified and added to the registry database for nurse aides. If you took a break from employment for two years, your certificate will be changed to inactive. An inactive certificate will no longer make you eligible to work in a LTC facility as a nurse aide. To activate this, you must challenge the evaluation exams. You will need to submit a copy of your social security number, daytime contact number, and current return address. Advance certifications such as IA and CMT certifications will also be inactive and will only be reactivated once your CNA certificate is reactivated. A certification is considered expired if a nurse aide fails to renew his certificate for 5 years. An expired certificate will no longer be reactivated. If he wishes to work again as a nurse aide, then he will need to start all over by enrolling again in a state-approved training class and then challenge the license exams afterwards. This city is a part of St. Louis County. As of 2010, their total population was at 8,496 people. Sunset hills has a total area of approximately 9.0 square miles, where all of it is land. The population density of the area is 940.4/sq mile. By enrolling in a nursing assistant school course in Sedalia, Missouri you will learn the basic techniques used on the job and become prepared for the competency exams. 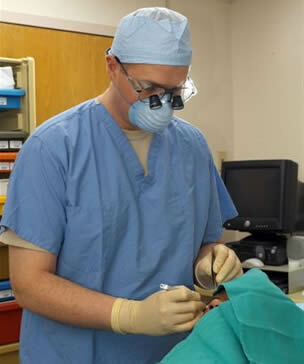 Classes provide both health care procedure theory and real life skills practice in a medical environment. Call to speak with a facility adviser to learn more. Passing the CNA license exams is the only way for you to get your name on the Nurse Aide Registry. Only those whose names are on the Registry and have an active status will be allowed to work in a long-term care facility as a nurse aide. Those who are applying for Interstate Endorsement are also required to pass the license exams. The first part of the license exams is the written exam. This exam will cover the different theories that were taught in the training programs. If you are poor at reading, the examiner or an assistant may read the exam questions and the multiple choices to you. The reader may only say, in a natural tone of voice, what is on the test paper. 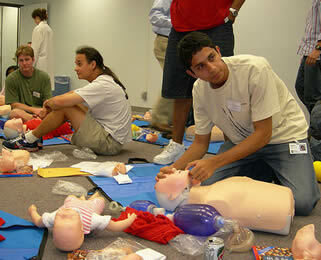 The second part of the exams is the return demonstration of the basic nursing skills and procedures. Out of all that were taught to you in the training program, only a few will be randomly selected to be performed. 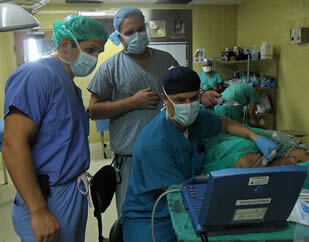 There will be a checklist that will contain the important points for each procedure. You will need to do what is on the checklist in order to pass satisfactorily. To get your name on the Registry, you will need to pass both the written and the skills exam. If you fail in one, you may retake immediately the part that you failed, if the examiner allows it. Sedalia is the county seat of Pettis County. It is a part of the Sedalia Micropolitan Statistical Area. It is just a few miles south of the Missouri River. Major highways that you can find intersecting the city include U.S. Highway 50 and U.S. Highway 65. As of the census of 2006, their total population is 20,669. The city has a total area of 12.0 sq miles, where all of it is land. The population density of the city is 1,700.8/sq mile. Enrolling in training in Savannah, Missouri will help you become a certified nursing assistant by providing you will hands-on experience. You can find the available classes listed below. Those found here are all the Missouri state approved instruction courses being offered as of this moment. For more information about the costs, program requirements, or schedules, call the phone number provided. Becoming a nursing assistant is one of the best ways for you to gain entry into the medical field. All you have to do is to complete a state-certified CNA training course and then challenge and pass the license examinations afterwards. Once you have your NA certifications, there are also other certifications that you can place on top of that. For those who are currently working as a nursing assistant, they must be able to complete the training and pass the license exams within 4 months from the start of their work. The license exams are composed of a written and a skills demonstration exam. If you fail one of those exams, you will have to retake both parts. Every applicant is given two chances to take the exams within 90 days from completing his/her training. If the applicant fails for the 2nd time, then he is required to undergo retraining. Once your name is entered on the Registry, you will need to keep your status active by renewing it every 2 years. To be eligible for renewal, you must have worked for at least 8 hours within that time. Those who fail to renew their license will have their status changed into inactive. Those who have failed to work for 5 years will have their license expire. They will need to undergo retraining and retake the exams again. This is a city that is a part of Andrew County. It has a total population of 4,762, according to the last census. This is also the county seat for Andrew County. Savannah has a total area of approximately 3.1 sq miles, where all of it is land, and a population density of 1,523.2/sq mile. You can see the schools in Raytown, Missouri that are conducting nursing assistant training featured on this page. Joining a state appointed class program will qualify you to take the certification exams and become licensed to work in this state. Call the facility to get additional details about the process to sign-up. If you want to become a nursing aide, you will need to meet both the federal and state requirements. This includes completing a state-approved training program and then challenging the license exams. If you are able to pass both the written and the skills evaluation exam, your name will be entered on the NA Registry. Another way to get your name on the Registry is to apply for Interstate Endorsement. When doing this, you must already be a CNA license holder from a different state with a clean record. When doing this, you will need to submit a copy of your out-of-state certification, social security of card, return address, contact number, and proof that you have worked within the past 2 years for at least 8 hours as a paid nursing aide. Once the NAR receives the requirements, you will then be notified if you are able to take the state’s license exams. Nurse aide statuses on the Registry are not permanent. In order to be able to keep working, nursing aides must renew their licenses every two years. To be eligible for renewal, they must have worked for at least 8 hours within that time. If they are working in a nursing facility, then they have to undergo the in-service that the facility offers yearly. The in-service is not a requirement for the nursing aides but is for the facilities to keep their license. This city is a part of Jackson County. It is considered a suburb of Kansas City. As of the 2010 census, their total population has now raised up to 29,526 people. It has a total area of 9.9 sq miles, where all of it is land. Its population density is approximately 3,065.9/sq mile. This city was name after President Andrew Jackson and was formed back in 1827. You can locate the nurse aide programs in operation within Platte City, Missouri on this page. 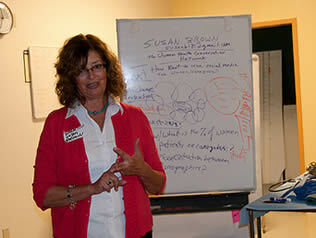 Courses will offer you curriculum that covers the basic health care procedures used in long term care facilities. Schools listed here have met the approval of the state registry and will enable you to qualify to take the state certification test. Getting on the Registry is the only way for you to get a nurse aide certification. When you apply for work, this will be one of the things that the employers will be looking for. If they do not ask you for this, you can assure that they will be checking online to verify if you are eligible to work in a healthcare facility as a CNA. To do this, all they have to do is to go to https://webapp01.dhss.mo.gov/cnaregistry/CNASearch.aspx and fill out the necessary fields. They can either search an individual with the use of his/her name or the organization that the individual is with. They can also just give the social security number of the applicant, since passing a copy of the social security card will be one of the things needed when applying. Even if you are on the Registry, to be allowed to work, you must have an active status. A status will only remain active if the nursing assistant was able to find work for at least a day as a paid nursing assistant every 2 years. If he failed to do this, then the status will show an “inactive”. The status will then turn into expired if the individual has taken a break from work for at least 5 years. Platte City is the county seat for Platte County. You can find this city situated just along the Little Platte River. According to the latest census, their total population has now reached up to 3,866. The total area of Platte City is approximately 3.4 sq miles. Its population density is 1,147.2/sq mile. Aspiring nursing assistants who want to become certified can locate the available schools in Park Hills, Missouri below. The courses listed here will qualify you to take the certification exams and teach you the fundamental health care procedures necessary to work. You should call to speak with a facility representative to learn more about signing-up for instruction. If you want to become a nursing assistant, you will need to get your name on the nurse aide Registry. To do this, you will need to first enroll yourself in a state-approved training program. These programs will offer 75 hours of classroom lectures and 100 hours of on-the-job training. It can take you around 4-6 months to complete your training. For those who are already working as a nursing assistant, they will need to do this within 4 months from the first day of their work. 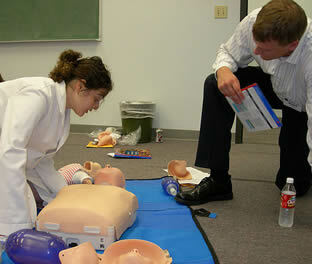 During your instruction you’ll receive skills training to teach you the basics of health care. 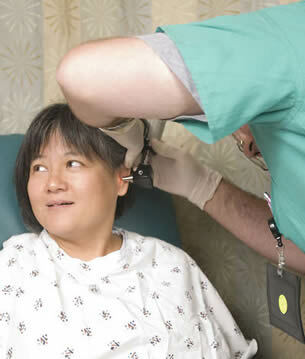 Generally you will practice performing these tasks: range of motion exercises, recording vitals, housekeeping, nourishment, transporting patients, use of transfer belt, catheter care, oral care, communication skills, grooming, dressing, using personal protective equipment, and indirect care techniques. You will be asked to perform some of these tasks during your competency examination. By completing a program, you will be able to apply for the license exams. Nursing students who were able to take and pass the Fundamentals of Nursing and their clinical rotations may also apply for the exams. Those who are able to take the exams because they got approval from the Registry are only given one chance to pass both the written and the skills exam. If they fail, they will need to enroll and complete a training program before they will be allowed to retake the exams. For those who challenged the exams after completing CNA classes, they are allowed to retake the exams up to two times. After they fail the third time, they must then undergo retaining before retaking the exams. The 2 additional retries must be used within 90 days. They may retake the portion where they fail as soon as they receive the results. Park Hills is a city that is situated in St. Francois County. As of the 2008 census, their total population has now grown to 8,851, which was from 7,861 back in the year 2000. The city has a total area of approximately 20.1 sq miles. Its population density is 442.6/sq mile. For the person who wants to become certified these are the nursing assistant training classes available in Sikeston, Missouri. By enrolling in one of these programs you will learn the basic skills required to care for patients in a long term care facility. Courses listed here are registry authorized and will help you prepare for the licensing exams. For most who desire to become certified as a nurse aide it is important to join a state recognized instruction program to learn the basics. Classes will help teach you how to perform the skills used during your employment. You will receive hands-on practice using these skills and learn the theoretical knowledge required to make proper health care decisions while on duty. Currently classes will offer at least 75 hours of theory training and 100 hours of on the job training. Challenging the CNA license exams is the only way for you to get your name entered on Missouri’s Nurse Aide Registry. Only once your name is on the list will you get your certificate and be allowed to work as a nurse aide in a LTC facility. Before you are allowed to take the exams, you will need to submit to the Registry first the different requirements. You will be asked to provide proof of your completion of a state-approved training program and social security number. Nursing students may also apply by submitting a copy of their transcripts showing that they took up and passed the Fundamentals of Nursing and their clinical rotations. The license exams are composed of two parts: a written exam and a skills evaluation on the basic nursing skills. In order to get your certificate, you must be able to pass both exams. Those who underwent proper training are given 2 additional chances to pass. After failing for the third time, the applicant must then undergo retraining before he will be allowed to take the exams again. This city is a part of both Scott County and New Madrid County. You can find this city situated north of the Missouri Bootheel. Major roads that you can find near the city include Interstate 55, Interstate 57, and U.S. Route 60. It was founded back in 1860 and was named after John Sikes. According to the 2010 census, their total population is now at 16,318. It has a total area of 18.1 sq miles and a population density of 947.4/sq mile. You can find the nursing assistant training being given in the town of Rolla, Missouri listed here. These programs will teach you the basic health care skills in order to help you pass the certification exams and become knowledgeable about the job. Call to arrange a class time and enroll. Becoming a nursing aide is one of the best options to start working in the medical field. With its current demand today, you will have no problems looking for a job as soon as you become a CNA. To be one, you must get your name on the Registry by passing all the tests in the CNA license exams as soon as you complete your training. Your training will consist of 75 hours of classroom instructions on different concepts of Nursing and 100 hours of actual duty in a nursing facility. As a nursing assistant student, you will learn about infection control, mental health and rehabilitation, promotion and respect of the patient’s independence, assistance in their activities of daily living, and certain emergency procedures. The license exams are composed of a written and a skills demonstration on randomly selected nursing skills. These exams are not only limited to those who enrolled in nursing assistant classes; nursing students may take it also. Those who are applying for out-of-state endorsement will also need to take and pass the state’s license exams. For more information, you can follow this link: http://health.mo.gov/safety/cnaregistry/faqs.php#gen9. To work as a nursing assistant in the state of Missouri, your name must be on the CNA Registry. You must also have an active status on the Registry. Those that have active statuses are the only ones who are eligible to work in a long-term healthcare center. They are the ones who were able to comply with the Federal and State regulations. In order to keep your status active, you must work for at least a day every 2 years. For those who are working in a log-term healthcare facility, they will need to attend the facility’s yearly 12-hour in-service. The in-service is not a requirement for the nursing assistants but is a requirement for the facility to keep its license. If you have been working as a private CNA, you may still keep your license active. All you need to provide is proof off your employment which may be: a copy of form 1099; a copy of W-2 form; a copy of your pay stubs; or a letter proving your private duties from the Power Attorney of your employer. Rolla is the county seat of Phelps County. You can find this city halfway between St. Louis and Springfield, just along Interstate 44. According to the census of 2010, their total population has now gone up to 19,559. Rolla is a part of the Rolla Micropolitan Statistical Area. The total area of the city is about 11.3 sq miles, where all of it is land. Its population density is 1,631.7/sq mile. Nursing assistant training is offered at schools in Jefferson City, Missouri and they can be found listed on this page. The programs below are all state approved and are open for enrollment in the city. For more information, just call the number to speak with an administrator to learn more. Missouri Assoc.of Nursing Home Admin. In order to become a nursing assistant, you will need to comply with both the federal and state’s requirements. Your end goal here is to get your name on the NA Registry. Only those names that are on the Registry will be allowed to work as a nursing assistant. 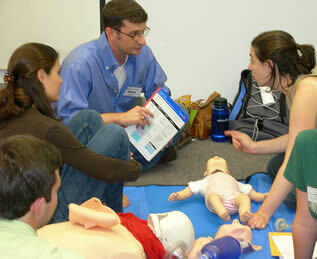 The Registry also contains the names of approved instructors and clinical supervisors. To get your name on the registry, you will have to pass the competency evaluation exams. These exams are only available to those who were able to complete a CNA training course or who submit an accepted letter of approval to challenge the exams. These courses will offer you 75 hours of classroom lectures and laboratory exercises and 100 hours of clinical exposure. These exams are composed of a written and a skills exam, which you must be able to pass both of them to get your name on the Registry. Every applicant who was able to complete a training program is allowed to take the exams 3 times. If you fail on your first try, you will be given 2 more chances to pass the exams within 90 days. If the instructor allows it, you may directly retake the exams on the same day that you received your results. If you try to challenge the exams you are only given one try and if you fail will be required to attend a regular state approved course. Once certified you are added to the state registry that is updated by the Missouri Department of Health and Senior Services. You will need to renew your license every 24 months. Generally you will receive notification of your renewal date prior to it being due. Renewal is accomplished by submitting work verification from your employer of 8 hours or more spent on the job. You can call the office and speak to a customer support representative to learn more about renewal requirements by calling 573-526-5686. This city is the capital for the state of Missouri. Aside from that, it is also the county seat for Cole County. This city was name after Thomas Jefferson, who was the third president of America. As of the census of 2010, their total population has now reached 43,079 people, and has a population density of 1,454.4/sq mile. This city is on the northern edge of the Ozark Plateau. Schools that offer nursing assistant instruction in the town of Reed Springs, Missouri can be located on this page. By enrolling in a training course you’ll meet the requirements of the state registry and be allowed to take the license tests. You should talk to an administrator of the facility to learn more. 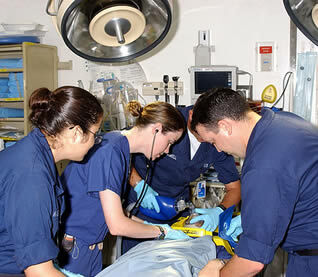 The best way for you to gain entry into the medical field is by becoming a nursing aide. This type of profession is best suited for those who love to help other people without thinking too much on the financial rewards. However, the occupation can be a great way to get your start in the health care occupation and gain experience to advance. 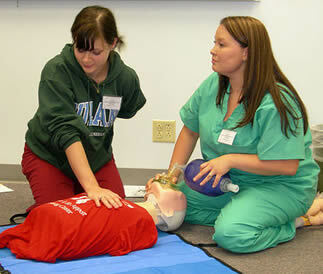 Training to become a nurse aide does not take very long depending on the course you enroll in. Programs are required to offer a specific amount of minimum hours of instruction. At this time this is 75 hours in the classroom learning basic health care theory, and 100 hours of on the job skills practice in a medical environment similar to that found in a hospital or nursing home. Classes will prepare you for the two part examination which must be passed in order to receive your certification. 3. Not have a Federal indicator/marker or be on the state’s employment disqualification list. 4. Pass specific portions of the TABE, which is given by the sponsoring school of the course. If you pass the exams, you are allowed to give medications for up to 60 days so long as the facility you are working in has a copy of your scores that show you passed. Medication technicians from other states may also work in Missouri by applying first for reciprocity. This city is a part of Stone City. Aside from that, it is also part of the Branson, Missouri Micropolitan Statistical Area. According to the census of 2000, their last estimated population was at 465 people. This city has a total area of approximately 0.6 sq miles, where all of it is land. Its population density is 735.9/sq mile. You can find the nursing assistant schools that are currently in operation within Mountain View, Missouri shown to you in detail on this page. By enrolling in a course you will get hands-on task training and learn the health care skills required to pass the state license examination. There are two different ways for you to get your name on the Missouri Nurse Aide Registry. One of them is only available to those who are already registered to a Registry from a different state. If you are not already a nurse aide, then you will have to undergo the proper training and pass the license exams. For those who are already working in a nursing facility as a nurse aide, they must be able to get their names on the Registry within 4 months from starting their work. The CNA training programs in this state are composed of a 75-hour classroom and laboratory instructions and another 100 hours of clinical duties. There is also a final exam that must be taken to complete the course. Nursing students are also able to take the exams if they meet the state’s requirements. When applying, they will need to show their transcripts which contains the basic or fundamentals of nursing as well as meet the required number of training hours. They will also be required to provide their social security number and have passing results in the federal and state background checks. Those who were able to get approval from the office to take the exams will only be given one chance to pass the tests. 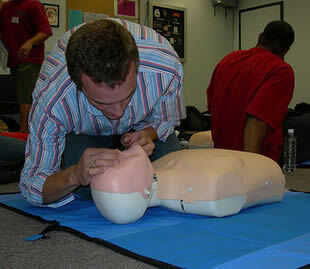 For those who underwent proper CNA training, they are given two more chances to take the exams. When you pass you are added to the registry for a two year period. To check your certification status you can call the Health Education Unit at (573) 526-5686. For general questions about certification you can contact the Missouri Department of Health and Senior Services at 573-526-5686. This city is a part of Howell County. As of the latest census, their total population has now reached up to 2,430 people. Its total area is approximately 3.7 sq miles, where all of it is land. It has a population density of 661.2/sq mile. The nursing assistant schools that have been recommended by the state registry and are available in Maryville, Missouri are listed below. These courses are currently available for student enrollment and will qualify one to take the license examination. Call the facility to find out more details. All aspiring nursing aides are required to enroll in a state-certified training program.Programs are available to students who are at least 18 (or enrolled in a high school vocational program), free of any disqualifying convictions, and not on the MO Department of Health and Senior Services employee disqualification list. The class will teach you the fundamental health care instruction to properly provide basic care for patients under the general supervision of a registered nurse. 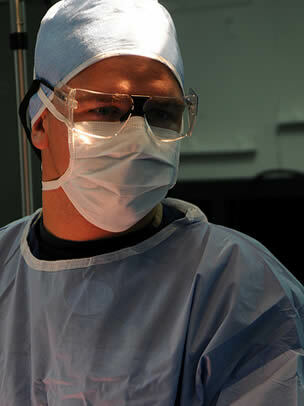 Course include 75 hours of classroom coursework and 100 hours of clinical task experience in a medical setting. Once you complete your training, you will then become eligible to take the license exams afterwards. For those who are currently working as an uncertified nursing aide, they must be able to pass the exams within 4 months from the start of their work. The license exams are composed of a written and a skills evaluation exam. In order to get your name on the Registry, you must be able to pass all the tests. The applicants who were able to get authorization from the office to take the exams without CNA training are only given one try to pass the exams. If they fail, then they will need to enroll and complete a course before they are allowed to take the exams again. Applicants that challenged the exams after completing a training program are allowed to retake the exams up to two times if they fail on their first attempt. If the examiner allows it, the applicant may immediately take his fail exam on the same day that he received the results. Maryville is the county seat of Nadaway County. It is also a part of The Maryville micropolitan statistical area. It was first established as a town back in February 14, 1845. 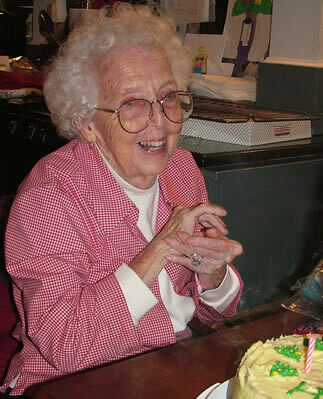 The city was named after Mrs. Mary Graham, who was the wife of the county clerk at that time. She was the very first Caucasian woman to have lived within the boundaries of the site of the city. As of the 2000 census, their total population has reached up to 10,581. Its total area is 5.1 sq miles and has a population density of 2,074/sq mile. The state recommended nursing assistant programs in Warrensburg, Missouri that are currently open for enrollment are all shown to you on this page. By enrolling in this approved course you will become eligible to take the license exams needed to become certified to work. If you are planning on entering the medical field, then you should start to consider becoming a nursing assistant. It is easy to become one if you meet the requirements. These are that you are 18 years old (or enrolled in a high school occupational health class), are not on the state’s disqualification list, and have not been convicted of certain classifications. The first thing on the list is to find a CNA training program to enroll in. Once you complete your training, you will then be able to apply for the license exams. Nursing students are also allowed to apply so long as they meet the requirements. You can contact an official from the Missouri Department of Health and Senior Services to learn more about qualifications via email at: info@health.mo.gov, or by phone at 573-526-5686. If you are already a nurse aide from a different state, then you may work in Missouri since they allow reciprocity. In order to get on the Registry, you will also have to take and pass the state’s license exams. Unlike the regular applicants, you will have a different set of requirements that you will submit to the office. You will be asked to provide a copy of your certification, social security card, contact information, and proof of employment. You must have worked for at least 8 hours within the past 2 years. 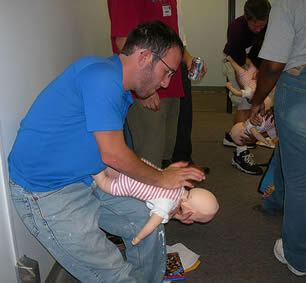 The license exams are composed of a written examination and a skills demonstration on some of the basic nursing skills. You are required to pass both of them to get your certification. For those who underwent proper training in the state, they will be given 2 additional chances to pass the exam if they happen to fail any portion. The applicant may take the exam on the same date, if the examiner allows it. This city is a part of Johnson County. It is also the county seat for the said county. It is part of the Warrensburg Micropolitan Statistical Area. Warrensburg has a total area of approximately 8.5 sq miles, where almost all of it is land. Its population is 23,218 at last count and the pop density is 1,938.5/sq mile. It was founded in 1856 by Martin Warren. Major roads that you can find in the area include US 50 and Route 13. If you want to become a nursing assistant you will need to enroll in a state approved program. The available courses in Houston, Missouri that are shown to you on this pare are all the classes that are open for enrollment. Get the sign-up details by calling the school using the number below. The Missouri Department of Health and Senior Services handles the registry for nurse aides in the state. They maintain an online database and ensure that all school programs meet the curriculum and hourly requirements. To enroll in training typically you must be 18 years old. The exception to this is if you are enrolled in a high school occupational class. In addition those who enroll into a program must be free of certain convictions and not be listed on the (EDL) employee disqualification list. You can contact a state representative at 573-526-5686 or by email at: info@health.mo.gov with your questions about the latest requirements. If you have an active status on the Missouri CNA Registry then that means that you had met the requirements for training and testing in the Federal and State regulations. Only those nursing aides that have active statuses are allowed to work in a long-term health care center. To keep it active, you must work for at least a day for every two years as a paid nursing aide. Failing to do so will turn your CNA license into inactive. Once you have an inactive CNA license, advance certifications for CMT or IA will also become inactive. To reactive it, you will need to take and pass the evaluation exams. A license will become expired if your break from employment reaches 5 years. An expired license may no longer be reactivated even if you take the evaluation exams. If you want to work again as a nursing aide, you will have to start all over by enrolling in a training course and challenge the license exams afterwards. This city is a part of Texas County. It is also the county seat there. According to the 2000 census, their last estimated population was at 2,081 people. It has a total area of approximately 3.6 sq miles, where all of it is land. Signing up for a nursing assistant program in the town of Bethany, Missouri will help you gain the skills needed for the job. During instruction you will receive both theoretical coursework and actual real life skills training. For more information, just call the number that is provided or go to their office during working hours. Training programs must be authorized by the state and you should ensure they are accepted before enrolling. CNA classes are required to offer 75 hours of health care instruction and 100 hours of on-the-job skills practice. Those who feel they are experienced enough to challenge the competency exam outright may qualify to get a letter of approval from the registry in order to avoid taking a course. You can call the MO Department of Health and Senior Services at 573-526-5686 to find out more. It is not enough that you have your name on the NA Registry to be able to work as a CNA in any state, especially in Missouri. To be allowed to work, you must have an active license status. Nurse aide certifications/licenses will only remain active for up to two years. Before it expires, you will need to renew it to be able to continue working. To do this, you must have worked for a minimum of 8 hours as a paid nursing assistant in a licensed healthcare facility. If you have failed to work during that time then your status will be changed into inactive. If your employment break has reached up to years, your inactive status will be changed into an expired status. To reactivate an inactive status, the individual will only need to take and pass an evaluation examination. Expired licenses can no longer be reactivated. If the individual wishes to work, they he/she must undergo retraining and retake the license exams again. This is the county seat of Harrison County. As of the latest census done in the area, its population has now reached up to 3,087. Bethany has a total area of 4.4 sq miles, where all of it is land. Its population density is approximately 696.2/sq mile. The nursing assistant classes that are accepting student enrollment in Saint Joseph, Missouri are all shown to you in detail on this page. If you know other programs currently conducting instruction offered in the city, please contact us and we will add them to the post. Those who wish to be employed as a nurse aide in the state are encouraged to join a recognized training course to get the necessary experience to take care of those in their care. Training classes must offer 75 hours of classroom coursework/lectures, and 100 hours of on-the-job experience. To be eligible for the school course the student must be at least 18 years of age unless they are enrolled in a high school health class, and not guilty of any particular classifications, and not be listed on the EDL disqualification list. After completion the applicant can send in a completed form and take the two part final examination. 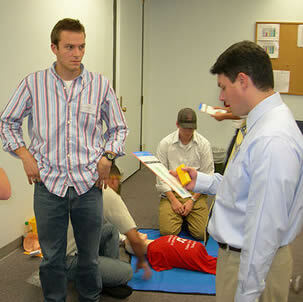 The exam includes a written and physical skills demonstration. Those who pass are added to the state registry. According to the law, all those who work as a nursing assistant must be listed on the NA Registry. This registry is maintained by the state’s Department of Health and Senior Services. It is a master list of all the nursing assistants who were able to comply with the federal and state’s requirements and are allowed to work in Missouri. Like many state’s statuses on the Registry are not permanent. One must renew his license every 2 years to be able to remain eligible for work as a nursing assistant. To be eligible for renewal, the CNA must have worked for at least 8 hours within the past 2 years. The state also requires a 12 hour in-service training every year. The state also requires that if you have any significant changes to your personal information, you should inform the Registry. With the new system, you can inform the Registry by simply going online and visit their site at https://www.health.mo.gov/cnaregistry/RegistryUpdateForm.html. It may take a few days for the updates to be uploaded to your record on the Registry. This is the county seat of Buchanan County. It has a total population of 76,780, as of the 2010 census. Saint Joseph has a total area of approximately 44.8 sq miles. This makes that city the second largest in the north-western Missouri. Its population density is 1,687.7 people per square mile. This city was founded by Joseph Robidoux, who was a local fur trader at that time. He founded the city on the Missouri River. You can find the nursing assistant classes open to the public in Nevada, Missouri shown below. If you meet the requirements you can join this training and become eligible for the state exams which will grant you certification. By speaking with a school administrator you can find out additional details about what steps you need to take next to apply. The only way to get your name on the Missouri NA Registry is to pass the license exams. There are different ways for you to become eligible to apply for the exams. One way is to complete a state-certified CNA class. According to the law, these classes are required to offer 75 hours of classroom instructions and 100 hours of practical experience. During your instruction you will practice using a variety of different health care tasks and work to become proficient at them. Some of the common skills you will practice using are: checking vital signs, feeding patients, transporting residents, using a transfer belt, catheter care, grooming, oral care, communication, toileting, bathing, range of motion exercises, safety procedures, and infection control. An individual may also work as an uncertified nursing aide. This is provided that the individual immediately takes up a training class and then challenge the license exams afterwards. The individual will only have 4 months from the start of his work to get his name on the Registry. 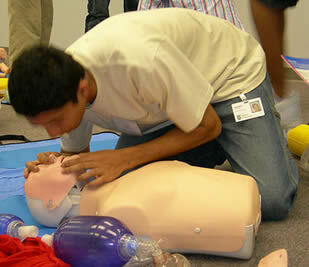 During his training, he will only be allowed to perform nursing skills that were already taught in the class. Another way of being able to take on the license exams of Missouri is when you apply for out-of-state endorsement. This is only applicable to those that are already listed as a CNA in another state’s NA Registry. Once the office receives the necessary paperwork, the applicant will receive a reply within 7-10 days, whether or not he is allowed to take the exams. Nevada is the county seat of Vernon County. It is home of the famous Cottey College. As of the 2010 census, their total population is at 8,327. The city was incorporated back in 1855 and was known as Fair View and Hog-Eye.It has a total area of 9.0 sq miles and a population density of 964.1/sq mile. The nursing assistant classes listed below are all available in Lee’s Summit, Missouri at this time. Contact the school through their phone number to speak with a course administrator to learn how to join. These programs have all met the approval of the state registry and allow you to take the license exams upon completion. To work as a nurse aide in Missouri you will need to become listed on the state registry. Usually candidates will enroll in a training course and complete the required 75 hours of class instruction and put in 100 hours of clinical practice to qualify to take the certification examination. To be accepted into a program applicants must be at least 18 years of age, have a record free of any disqualifying convictions, as well as not being listed on the Missouri Department of Health and Senior Services employee disqualification list. 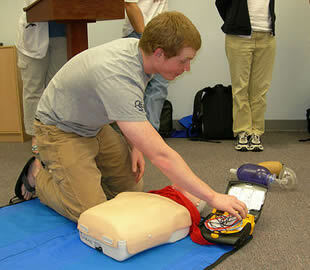 The exception to the age requirement is if you are enrolled in a high school health occupation class. Those who finish the course successfully can schedule a testing date. The exam is made up of two parts and both parts will need to be passed in order to become certified. The state does offer those who feel they have the experience to challenge the exams directly without going through a class program. To qualify you will need to apply to the state and receive a letter of approval. Those who are granted the ability to challenge the exam will only receive one opportunity to pass or need to take a class. After passing the exam the applicant becomes certified and listed on the searchable registry database used by employers to verify licensure. Nursing assistant on this list will need to renew their license every two years to remain listed in good standing. 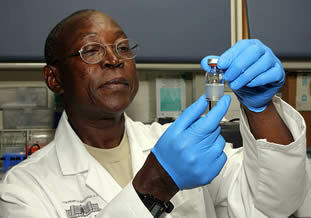 Renewal is done by submitting verification of 8 hours spent performing the duties of a nurse aide. You can call to speak with a representative of the state at 573-526-5686, or email them at: info@health.mo.gov to learn more about the latest qualification requirements, or get additional renewal information. There are now a number of people who are taking advantage of the increase of demand for nursing aides all over the country. The rising demand for workers in this profession has also created an increase in job openings for their instructors and supervisors, as well as examiners for the license exams. To become a clinical instructor, you must be an RN that is registered in Missouri’s Board of Nursing Registry. You must have at least 2 years of experience where 1 of those years was spent working in a long-term healthcare center. Your experience in the long-term healthcare centers must be recent and should be within the last 5 years. Once you meet those criteria, you must then attend and complete a train-the-trainer course. Once you complete the course, your name will automatically be added to the CNA Instructor Registry. Each instructor is only allowed to handle up to 15 students in one class. It is recommended that the ration of the instructor to the students should be 1::10 or even less. This city is situated in Cass County and Jackson County. As of the 2010 census, their total population has reached up to 91,364. They have a total area of approximately 61.7 sq miles. Its population density is 1,480.8/sq mile. It is considered as the third largest city in the Kansas City Metropolitan Area. It is also ranks sixth as the largest in the entire state. Its original name was Strother back in the early 1800s. Major roads that you can find in the area include Interstates 470 and 70, U.S. Route 40 and 50, and Route 150. The schools found in Wellston, Missouri that are offering nurse aide training and are available for enrollment are listed on this page. For more information about their curriculum, tuition costs, or requirements, just call the number provided to speak with a program director. Courses listed have met with the approval of the state. If you are planning on becoming entering the medical field, you should start to consider becoming a nursing assistant. Because of high demand for this profession, you will have no problems looking for a job as soon as you become certified. CNA training in Missouri will take you 4 to 6 months to complete. If you want to have a higher degree, there are different certificates that you can add on top of your nurse aide certification. 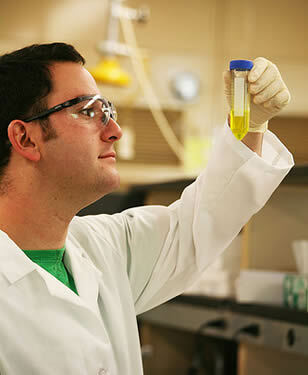 For example, you can become a certified medication technical or get an insulin administration certificate. To qualify for these, you must be at least 18 years old; possess a high school diploma or a GED; have an active status as a CNA; and must not have any federal markers or be on the state’s EDL. RNs may also take advantage in the profession’s increase in demand. If you are a nurse that is registered in Missouri, you can become a nursing assistant instructor or a clinical supervisor. You will need to have the necessary experience and complete a train-the-trainer program. Each instructor is only allowed to handle up to 15 students for each class. The lesser the student-instructor ratio is, the better it is for learning. This city is situated in St. Louis County. You can find this city just along the northwestern border of the city of St. Louis itself. As of the 2010 census, their total population has risen up to 2,313. Wellston has a total area of approximately 0.9 sq miles, where all of it is land. The population density of the city is 2,604.6/sq mile. This city was incorporated in 1909. Major roads that you can find near the city include State Route 180 and State Route 340. Taking nurse aide training in Poplar Bluff, Missouri can help you gain the valuable skills needed on the job and assist you will passing the certification exams. All of the available classes in this city at this time are detailed below. Just call the number provided to get additional school information. To become a nursing assistant, you will need to take the final exams and get your name entered on the NA Registry. The exams are not only limited for those who enrolled in a CNA training classes. 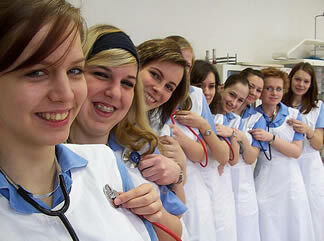 Nursing students may also take the exams if they wish to become a eligible to work in this profession. For them to be allowed to take the exams, they will need to provide a copy of their transcript, which should include the credits for the Fundamentals of Nursing. They should also have a grade that passed their clinical rotations. Aside from that, applicants will be required to provide their social security card, return address, and contact information. Once the application form has been received, the applicant will need to wait 7 to 10 working days before they receive a response from the office. Once an applicant becomes certified they will need to occasionally renew their license to remain in active status. Currently licenses must be renewed every 24 months. This is usually accomplished by submitting work verification from your employer. Those who do not work during this two year period lose their active status on the online registry allowing them to legally be employed as a nursing assistant. If the licensee does not attempt to correct their status in a five year period they will lose their license completely. CNA license holders from other states are also welcome to work in Missouri. Before they start working, they must apply for reciprocity. When they apply, they must be able to provide a copy of their certification, proof of employment for the past 2 years, as well as the results for the background checks for criminal records. This is the county seat of Butler County. It is situated in the southeastern portion of Missouri. As of the latest census, their total population has reached over 17,096 people. This city is also known as “The Gateway to the Ozarks”. It has a total area of 11.6 sq mile and a population density of 1,438.9/sq mile. Major roads that you can find in the area include U.S. Highway 60 and U.S. Highway 67. Health care centers that you can find in the area include Southeast Missouri Behavioral Health – Cstar & Satop Program, Family Counselling Center Inc., Pain Management Associates, LLC, Poplar Bluff Medical Center, Home Health Service At Three River, Kneibert Clinic, Montgomery Chiropractic Office, Letassy Health Services Inc., Allen Chiropractic Wellness Center, and Butler County – Health Center. The state authorized nurse aide training that can be found in Perryville, Missouri is shown below. Programs listed here have been recognized by the state registry and offer the proper amount of classroom instruction. Call the facility to receive in-depth information, such as enrollment times, class schedules, course requirements, and the rate of tuition. To become a nursing assistant in the state of Missouri, you will need to first receive proper training. To do this, you must enroll in a state-approved training program. These programs will over you 75 hours of classroom lectures on the Fundamentals of Nursing and 100 hours of clinical duties. Depending on which program you select, it can take you 4 to 6 months to complete your training. For those who are already working in a license nursing facility as an uncertified nursing assistant, they must be able to get their name on the Registry within 4 months from the start of their work. In order to be enrolled in a training program, you must be at least 18 years old. Your name must not be on the Department of Health and Senior Services eligibility disqualification list, and you must not have any records of abuse, neglect, or misappropriation of property that was done while as a nursing assistant. By completing a training program, you will then become eligible to challenge the CNA license exams. Those nursing assistants from other states who are applying for reciprocity are also required to take and pass the license exams. To get on the Registry, the applicant must be able to pass both the written and the skills evaluation exam. All active certified nursing assistants are required to renew their licenses every two years to remain listed in good standing on the state registry. Those who fail to renew by submitting verification of employment from their employer will lose their active status. You should receive a renewal notice prior to your expiration date. To learn more about this process contact the MO Department of Health and Senior Services by calling their phone line at 573-526-5686. Perryville is the county seat of Perry County. As of the latest census, their population has reached up to 8,172. The city has a total area of approximately 7.7 sq mile and has a population density of 1,075.3/sq mile. The city was first incorporated back in 1856. Aspiring students can find the nurse aide schools in Kirksville that are approved by the state of Missouri on this page. For detailed information about the certification classes that are being offered in the city, class schedules, or program requirements, call the phone number in this list below. 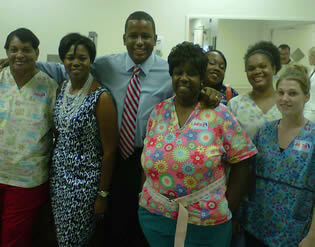 It is the work of the state’s Department of Health and Senior Services to maintain the CNA Registry. All those who want to work as a nursing aide are required by law to be registered. The same also goes for certified medication technicians, Level I medication aides, and those who are certified as insulin administration. In order to be registered, you must be able to complete a state-approved training program. The state requires that these programs offer no less than 75 hours of training of classroom instructions and another 100 hours of clinical practice. 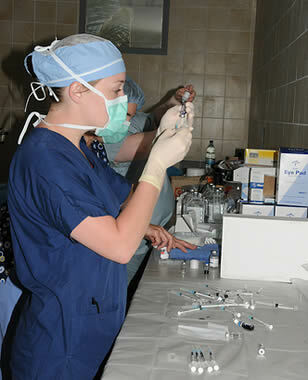 The clinical practice is also referred to as on the job training. Depending on which program you enrolled in, it may take you a few weeks to complete your training. After you complete your training, you will then be able to challenge the license exams. When applying, all you have to do is to show proof of your training, provide your social security number, and pass the federal and state background checks. Once you are able to pass the written exam and the skills demonstration, your name will then be automatically entered on the Registry. If you are unable to pass one of the parts of the test you may retake the failed part a max of 2 times within a 90 day period or face retaking your training. If you have passed and still fail to receive notification of your certification you should contact the registry examiner and request additional details. The state allows those who feel qualified to apply to challenge the examination. You only receive one opportunity to pass the exam and if you fail you must attend a recognized course to continue pursuing a certification. You can contact the MO Department of Health by calling 573-526-5686 to get additional help regarding any inquires you have. This is the county seat of Adair County. You can find it situated in Benton Township. As of the latest census, their total population has now reached up to 17,505. This city is the anchor to a micropolitan area that includes Adair and Schuyler Counties. It has a total area of 10.5 sq miles and a population density of approximately 1,624/sq mile. If you are looking for nurse aide schools in Cottleville, Missouri you will find them listed on this page. Courses found here have met the approval of the state and will qualify you for the certification test. Talk to a program coordinator using the phone number below to learn more about what the class can do for you. Due to the increase in demand for certified nursing assistants, this profession is a great way to enter the health care field and gain experience. Since classes do not take long to complete, you can have your certification in a matter of weeks. Currently courses must be approved by the Board of Nursing and provide a minimum amount of hourly instruction to qualify. At this time the course must offer 75 hours of theory and procedural coursework, and 100 hours of real life, on the job training. After finishing your school facility can help you arrange a time to take the competency exams to become licensed and able to be hired by care facilities in the state. When you arrive for the exams you will notice they are given in two parts. These are a written test consisting of multiple choice questions and a skills aptitude test, which will have you demonstrating five different health care procedures in a clinical setting. Those who pass both parts are deemed certified and included on the state registry for a period of 2 years. Licensees must renew their certification every 2 years by showing work verification from their place of employment. Because of the high demands for nursing aides nowadays, there are even RNs who are changing their professions and are becoming either a CNA instructor or a clinical supervisor. To become one, you must be a registered nurse in the state of Missouri; must have worked for at least 2 years, where one of those years were spent working in a long-care facility; you must not have any Federal markers, and you must also complete the train-the-trainer program. You will need to send your documents and resume to the Department of Health and Senior Services. They will then evaluate and verify the documents and give you a notice within 7 to 10 working days. Once you complete your training program, your name will then be added to the Nurse Aide Instructors Registry. This city is a part of St. Charles County. As of the census of 2009, their total population has reach up to 3,227. Cottleville’s total area is approximately 3.9 sq miles, where all of it is land. Its population density is 493.7/sq mile. You can find the available nurse aide schools that are open in Cedar Hill, Missouri described below. B joining these programs you will meet the course requirement and will be eligible to take the license exams once completed. Call to talk with a course director to get the latest enrollment details. Aspiring certified nursing assistants will need to enroll in a training class in order to proceed toward becoming licensed. Course must be preapproved by the state registry and offer an accepted curriculum and hourly instruction. Currently classes must include 75 hours of course lectures/coursework, and 100 hours of clinical practice performing skills in a real life setting. After finishing the required amount of hours you can set a date to take the examination for your certification. Applicants who qualify may apply to challenge the certification exam. They will need a letter of approval from the state to qualify and will only receive one chance to pass before being required to take a school program. It is not enough to have your name entered on the NA Registry; you must also have an active status to be able to work as a nursing assistant. This status will only remain active for up to two years. In order to keep it active, you will need to renew your license before it expires. To keep it active, the nursing assistant must have worked for at least 8 hours every 24 consecutive months as paid CNA. For those who are working in a long-term care facility, they will be required to have an additional of 12 hours of in-service to remain on the Registry. If you were unable to find employment within the past 2 years and have failed to renew your certification, your status on the Registry will be changed into “inactive”. To change it back, all you have to do is to challenge the competency exams. If your break from employment reaches up to 5 consecutive years, your “inactive” status will then be turned into an “expired” one. Unlike “inactive” statuses, “expired” statuses will take some time to renew. If an individual wants to turn his “expired” status into an active one, then he will need to undergo proper CNA training again. He will also be required to retake and pass the state’s license exams again. Cedar Hill is a census-designated place that is a part of Jefferson County. This CDP has an estimated total population of about 1,848 people. Its total area is 2.3 square miles, where all of it is land. It has a population density of 803.5/sq mile. This town is situated on the Big River. By enrolling in a nurse aide program in Versailles, Missouri you will be trained in the primary health care skills used on the job. Classes are required to be preapproved by the state, and the ones located below meet that criteria. Contact a school director to learn more about their course. To become certified to work students must go through an approved course teaching the basics of nurse aide fundamentals and receive hands-on skills practice. Courses must offer 75 hours coursework, and 100 clinical hours of skills training and on the job experience. Afterwards the student can apply to take the license examination. This two part test must be fully completed before the applicant can become certified to work in this state. Like many states, CNA certification is only valid for up to two years. It must be renew if the nursing assistant wants to continue being eligible for work. To keep a status active, the NA must have worked for at least 8 hours as a paid nursing assistant every 2 years. For those who are working in a long-term healthcare facility, they are also required to attend their facility’s yearly 12-hour in-service. Failing to work will change the individual’s status on the Registry into “inactive”. A CNA is not allowed to work in a long-term healthcare facility if he has an inactive status. If the individual wishes to reactivate his status, then he must request to challenge the evaluation exams. He will need to submit a copy of his social security card, telephone number, return address to Department of Health and Senior Services, Attn: Health Education Unit, P.O. Box 570, Jefferson City, MO 65102. Individuals who have advance certifications such as Certified Medication Technician certificate, or Insulin Administration certificate, those certification statuses are also considered to be inactive. It will only be returned to active status once the individual has an active CNA status. Versailles is the county seat of Morgan County. As of the latest census, their total population has reached up to 2,565 people. Its total area is approximately 2.3 sq miles. Its population density is 1,115.2/sq mile. One of the many notable persons that came from this city is Joseph Franklin Rutherford, who was the founder of the religion Jehovah’s Witnesses. You can find the available nurse aide programs in Trenton, Missouri shown to you in detail on this page. If you know other classes that have met the approval of the state registry that are being offered as of this moment, send them to us and we will add them to the page. The pathway to becoming a certified nursing assistant requires that you receive training for the job, or challenge the examination without taking a course. All applicants are required to take the two part examination to become licensed to work. Typically one would enroll in a class program to gain the required experience. CNA classes must be recognized by the state and offer the proper amount of hourly instruction and skills training. Currently programs must provide 75 hours of school coursework and lectures and 100 hours of clinical skills experience to qualify. Afterwards the student can apply to take the exams after which they receive their certification and are listed on the state registry for a period of 24 months. some opt to try to challenge the examination without taking a course. Usually this option is reserved for those with a health education background or other experience. To learn more about the current requirements you can contact the Missouri Department of Health and Senior Services at 573-526-5686. The increase in the demand for nursing aides has also caused an increase in job opportunities for other members of the healthcare team. This is very particular for registered nurses who want to become either a CNA instructor or a clinical supervisor. According to the law, nursing aide instructors must be a Registered Nurse in the state of Missouri with a minimum of 2 years of experience. 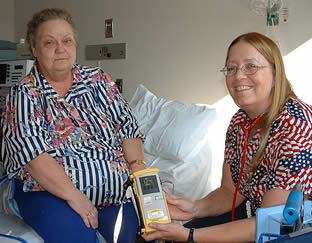 The RN must also have at least 1 year of experience working in a long-term healthcare facility within the past 5 years. 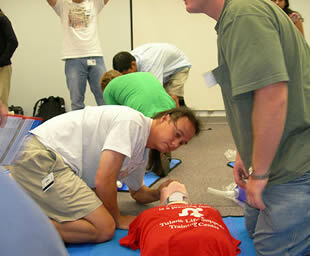 The final requirement is that those who want to become an instructor must take the Train-The-Trainer training program. These courses are designed to teach individuals to become a certified instructor and/or clinical supervisions. When they are done with the course they will be able to teach CNAs, CMTs, LIMA and Insulin Administration. These courses are taught by and should only be learned from approved associations. Trenton is the county seat of Grundy County. As of the census of 2009 it has a population of 6,006. Trenton claims that it is the largest producer of Vienna sausages in the world. It was founder back in 1834 as was known at that time as Lomax Store. Its total area is approximately 6.1 sq miles and has a population density of 1,065.5/sq mile. Facilities that are signing up students for their nurse aide programs in Puxico, Missouri can be found here. By enrolling in this state authorized course you will meet the training requirement and be eligible to take the certification exam. 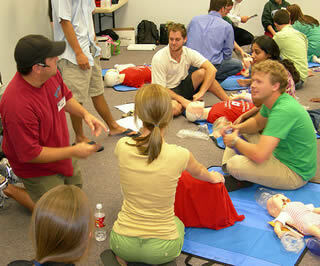 Classes provide clinical practice and health care theory. The first step in becoming a nursing assistant is to enroll in a state-certified training program. When you enroll, you will be spending a minimum of 75 hours of lectures of the different theories and another 100 hours for on-the-job training. 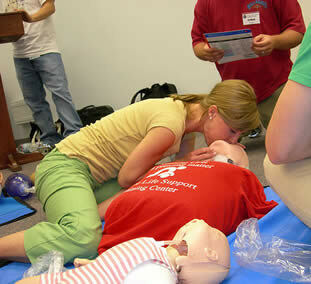 During that time, you will be under the guidance and supervision of certified instructors and clinical supervisors. There is also a final exam that you will need to pass in order to complete your training. Even if you were able to finish the number of hours for duties and lectures, without the final exam, your training is still incomplete. If you leave the program, you will be given 6 months to get back and complete it. The final exam is composed of a written and a skills evaluation on the different nursing skills that were taught to you during your training. Out of all of those, you will only be asked to perform a selected few. To pass the final exam, you must be able to pass both parts of the test. For more information, you can follow this link: http://health.mo.gov/safety/cnaregistry/faqs.php#cmt1. Those who pass the examination are included on the registry for nurse aides and given an active status. Now when potential employers search for your name in the database it will show you as being certified and eligible to be hired. 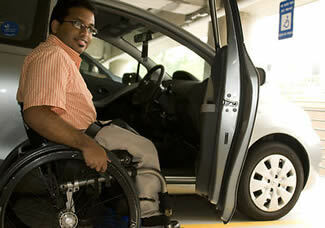 To keep your license in good standing you will need to show work verification every 24 months. This is done by getting proof from your employer and submitting it to the registry. You can contact them if you have any questions about this or anything else at 573-526-5686. This city is a part of Stoddard County. According to the latest census done at that place, their total population has now gotten to 1,145. This city has a total area of approximately 0.5 sq mi, where all of it is land. It has a population density of 2,089.4/sq mile. Enrolling in and completing a nurse aide program in Mountain Grove, Missouri will qualify you to be able to take the license exams. Courses will teach you how to properly care for patients under the general guidance of an RN. You should call the school to learn more about how enrolling can help you. Generally applicants who desire to become certified nurse aides join a course to receive the training required to pass the competency exams and gain experience with providing care. However those with training and experience may challenge the test by applying to the state registry. You can contact them with your inquiries about the qualifications needed or current requirements by calling 573-526-5686. Passing the license exams is the basic requirements to become a nursing assistant. It is the only way for you to get your name listed on the state’s CNA Registry and for you to get your certificate. When you apply for a job, this will be the most important thing that employers will ask for. Because of the state’s online system, employing healthcare facilities may now check the status of the individual if he is eligible to work as a nursing assistant or not. To do this, they will need to go to this link: https://webapp01.dhss.mo.gov/cnaregistry/CNASearch.aspx. When looking for the records of the individual, they may either give the person’s full name or his social security number. Those who want to get a new copy of their certificate will need to contact their certifying association. If they do not know the association responsible, then they may also visit the link provided above and check their own records. They can also call the Health Education Unit at (573) 526-5686 and ask them. Those who are listed on the registry for 6 months can take the Certified Medication Technician (CMT) course. To qualify you will need to be at least 18 years old, have a GED or high school diploma, not be on the employee disqualification list, and not have any disqualifying convictions. This city is a part of both Texas and Write Counties. It is situated in south central Missouri. As of the latest census, their total population is at 4,574. The city has a total area of approximately 4.2 sq miles, where almost all of it is land. Its population density is 1,091.2/sq mile. This city is a 4th-class city. The nurse aide classes in Neosho, Missouri that are described below have been preapproved by the state and will enable you to take the certification exam once you complete them. 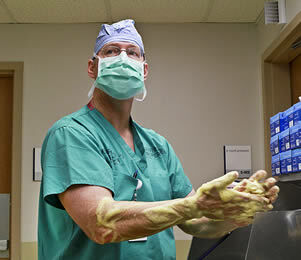 Courses will teach you general health care techniques and offer hands-on skills training. Speak with a school representative to get further enrollment information. Enrolling in a CNA training course is a requirement to become a nursing assistant. Those who are working as a nursing assistant without a certification must immediately enroll in a program and take the license exams within 4 months from the start of their work. Many long-term care facilities are also able to offer training programs as well as the license exams. 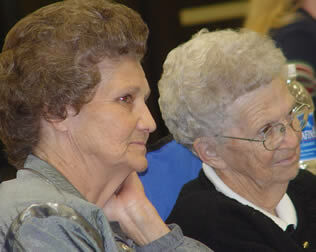 Those who are working in a nursing facility will need to ask their director or charge nurse if they are able to do so. By completing a state-approved program, you will become eligible to apply for the license exams. Passing the license exams is the only way for you to get your name on the Registry. This Registry contains all the names of the nursing assistants who were able to meet the Federal and State regulations. Those who are applying through Interstate Endorsement are also required to pass the examinations. Once you are in the Registry, you will then receive your CNA certification. This is only valid for up to two years. If you had your name changed and wanted to get another copy of your certification, then you will need to contact your certifying association. If you do not know the association, then you may call the Health Education Unit at (573) 526-5686. Neosho is the county seat of Newton County. It is officially known as the City of Neosho. Locally, it is known as the Gateway to the Ozarks an as the Flower Box City. Aside from being the county seat, it is also the most populous city in the entire county. It has an estimated population of 11,835. You can find this city on the southern edge of Midwest. The city was founded way back in 1833. It has a total area of 14.93 sq miles and a population density of 703.55/sq mile. Examples of health care centers that you can find in the area include Psychological Associates, Country Care Medical Clinic & Pharmacy LLC, Ozark Tri Country Healthcare Consortium Inc., Women’s Health Care, Chiropractic Health Center LLC, Arrowhead Mobile Drug Testing, and Beverly’s Traffic Control & Safety Inc.
By enrolling in nurse aide classes in Farmington, Missouri you will become eligible to take the license examination in order to become certified to work. School programs are required to be approved by the state and the ones listed here meet this requirement. Call to find out if you qualify to join. As of this writing nurse aide training needs to consist of 75 hours of theory instruction that is combined with 100 hours of skills training in a real life clinical setting. During instruction you will practice using many of the procedures used on the job and work under the guidance of a registered nurse. After your course you are advised how to schedule a date for the exams. According to the law, all nursing assistants must be registered to the state’s Nurse Aide Registry to be able to work in a long-term healthcare facility. This Registry is run by the Department of Health and Senior Services. It contains all the names of the CNAs who were able to meet both the Federal and State training and testing regulations. The NAR also holds the names of approved clinical instructors and supervisors. The record for every name on the list does not only contain their name but other important information as well. The record also holds information such as a person’s social security number, contact number, and return address. If there were any significant changes to your life, such as a change in your last name, you will need to inform the Registry by filling out the Update Registry Form. You can get it at https://health.mo.gov//cnaregistry/RegistryUpdateForm.html. If you changed your name and you want a new certificate with your current name on it, you can get it by requesting it from your certifying association. If you do not know the association, you can call the Health Education Unit at (573) 526-5686. You can also go to the Nurse Aide Registry search at https://webapp01.dhss.mo.gov/cnaregistry/CNASearch.aspx and look up the association. This city is the county seat of St. Francois County. You can find Farmington a few miles south of St. Louis, which is in the Lead Belt. This city is also a part of The Farmington Micropolitan Statistical Area. According to the 2010 census, their total population is now at 90,554 people. It has a total area of 9.0 sq miles and a population density of 1,788.6/sq mile. The city was established back in 1822 and is known for its agricultural history. You can find the nurse aide classes in Boonville, Missouri that have met the standards of the state registry listed on this page. These programs will prepare you for taking the competency exams by providing you will theoretical knowledge and clinical skills practice. Please contact the school to find out how they can help you. Passing the license exams is the final step in becoming a nursing assistant. These exams are not only limited to those who enrolled in nursing aide programs but also to nursing students. Since they basically also have the same training, nursing students who took the want to become a nursing aide may apply for the exams. If they want, they can send a letter of request to the Registry to immediately challenge the license exams. Those who are already working as a nursing assistant and no longer have enough time can also request to directly challenge the exams. For those who do this, keep in mind that these applicants will only be given one chance to pass. If they fail, then they must enroll in a state-certified training program in order to be allowed to take the exams again. State-approved programs are required by law to provide no less than 100 hours of clinical duties and another 75 hours of classroom instructions. Those who underwent this stage before taking on the license exams are given 3 chances to pass the exams. For more information, you can follow this link: http://health.mo.gov/safety/cnaregistry/faqs.php#cmt1. If after passing the exams you are not added to the registry you may want to call (573) 526-5686 to ensure they received your paperwork. After being certified the applicant is added to the online registry that employers use to verify their status. To remain listed with active status and in good standing you will need to stay current with your license by renewing it every two years. The registry will send you a notification when it is due, and you can renew by submitting verification of employment from your employer. Currently you must work at one, eight hour shift to meet the requirement. This city is situated in Cooper County. According to the latest census, their total population has now reached over 8,202 people. This is also the county seat of Cooper County. Boonville has a total area of approximately 7.3 sq miles. Its population density is 1,190.8/sq mile. By joining a certified nurse aide program in New Madrid, Missouri you will learn the basic skills required to pass the certification exams. 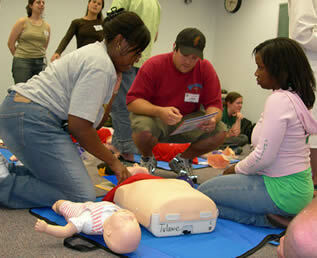 The course will offer skills practice and knowledge in general health care procedures. Contact the center to learn more about how their course can help you. Completing a training course for nursing assistants will qualify you to take the state license examination. The two part exam must be passed in its entirety in order for you to be certified and listed as an active nurse aide in the state registry. The test is made up of written multiple choice questions, and a manual task demonstration. https://webapp01.dhss.mo.gov/cnaregistry/CNASearch.aspx before he hires the applicant. An individual will only have an inactive status on the Registry if he has failed to work for at least 1 day within the last 24 months. Once he has an inactive status, he will not be eligible to work in a long-term healthcare centers. Any advance certifications that he has will also become inactive. He can only reactivate his status by challenging the evaluation exams. If the individual has failed to work for more at least 5 years, his status will be changed from inactive into expired. Expired certifications will no longer be able to get reactivated. If the individual wishes to work in a nursing facility, he will need to undergo retraining and retake the license exams. This is the county seat of New Madrid County. It was founded back in 1788 by American frontiersmen. It is situated about 42 miles west of Cairo, Illinois. As of the 2000 census, their total population has reached up to 3,334. The total area of New Madrid is approximately 4.5 sq miles, where all of it is land. The population density of the city is 738.3/sq mile. This city is famous for having over 1,000 earthquakes back in 1811 and 1812. Below you can find the schools in Monett, Missouri that are currently offering nursing assistant programs. Through this training you can gain experience in performing the skills of the job and prepare for the competency test. For more information about instruction, contact the facility through their contact details shared on this page. If you want to become a nursing aide, then you must be at least 18 years old to be accepted into a state-approved training program. Once you complete your training, which should take 4-6 months, you can then challenge the license exams. For those who are already working as a nursing aide in a licensed healthcare facility, they must be able to get their names on the Registry within 4 months from the start of their work. Those who were enrolled in nursing programs are also allowed to take the exams. All they have to do is to provide proof that they have taken up the Fundamentals of Nursing, as well as their social security cards when they apply for the exams. For those who were able to receive grant by the office to take the license exams without undergoing the training in a CNA program, they will only be given a single chance to pass the exams. If they fail, then they will be required to enroll in a training program before they will be allowed to take the exams again. For those who took the regular route, they are given two chances to retake the exams. They must do this within 90 days. Those who pass both parts of the examination are placed on the registry and can be hired by health care facilities for long term work. You can get the status of your license by calling the Health Education Unit at (573) 526-5686. This city is situated in Monett Township which in in Barry County. Aside from that it is also in Peirce Township which in on Lawrence County. As of the latest census, their total population has now reached over 8,873. It has a total area of 6.5 sq miles, where all of it is land, and a population density of 6.5 sq mile. By joining a nursing assistant training course in Moberly, Missouri you will be prepared to pass the state’s certification test. 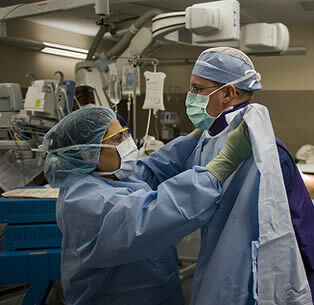 Classes will offer you both classroom instruction and health care task practice in a clinical environment. To learn more about course curriculum, call to speak with a representative from the school. If you want to become a nursing assistant, then you will need to learn the proper knowledge and skills that you will be using in taking care of the patients. This can be done by simply enrolling in a state-approved CNA training program. 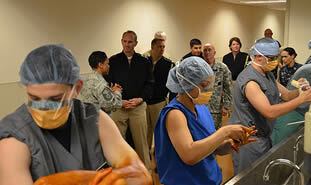 The program will consist of 75 hours of classroom lectures and 100 hours of clinical duties. Once you complete your training, in about 4-6 months, you will then be able to challenge the license exams. 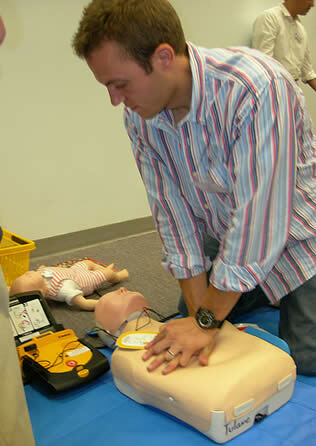 To get your name on the Registry, you must pass both the written and the skills demonstration exam. If you fail, you will be given another 2 tries to pass. These attempts must be taken within 90 days from the date of the first exam. If the examiner allows it, you may immediately retake the exams as soon as you receive the results. After you pass the exams, your name will be automatically entered on the NAR. You will also receive your certification. If you want to get another copy of your certification, you will need to request if from your certifying association. If you do not know the association, then you may call the Health Education Unit at (573) 526-5686. Certification must be renewed every 24 months and you should receive a notice from the state notifying you of the requirements to renew. Typically this entails submitting verification of a minimum of 8 hours of work in the capacity of a nurse aide on the job. This city is a part of Randolph County. It is also a part of the Moberly Micropolitan Statistical Area consists of Randolph County. As of the 2008 census, they estimated that the city had 14,227 inhabitants. This city was first incorporated back in 1868. It has a total area of 11.6 sq miles and a population density of 1,033.8/sq mile. Joining a school that offers certified nurse aide classes in Mexico, Missouri will provide you will skills practice and knowledge to pass the license exams. The courses listed below have met the approval of the state registry and will enable you to meet the training requirement. Feel free to call the number provided to get more information. Getting your name entered on the CNA Registry is the only way you will be able to work in Missouri as a nursing aide for a long time. To get your name on the list, you will need to pass the license exams, which are conducted at either colleges or nursing facilities. The exams are composed of a written and a skills evaluation of the nursing procedures, which you will need to pass both in order to get your license. If you were given a letter of approval to directly take the exams, then you will only have one chance to pass the exams. If you fail, then you will be required to enroll in a CNA course before you are allowed to take the exams again. If you took the exams after you completed a state-approved training program and failed, you are given 2 more chances to pass. You will need to take the exams within 90 days from completing your training. If you want, you may immediately retake the exams on the same day that you have received your scores/results. To be eligible to take a training class you must be at least 18 years old unless you are currently enrolled in a high school health occupation class. In addition you must not be on the MO Department of Health and Senior Services employee disqualification list, and not found guilty of certain regulations. This city is the county seat of Audrain County. As of the 2010 census, their total population has now reached up to 11,543. It has a total area of approximately 11.7 sq miles, where almost all of it is land. Its population density is 995.7/sq mile. The city’s old name was New Mexico back in 1896 but was later changed to its current name the following year later. The state registry approved nurse aide classes in operation within Marshall, Missouri that are available as of the making of this post are all shown to you in the list below. To get additional details about the latest enrollment dates, try contacting the school using the phone number listed below. To be eligible to work in Missouri as a nursing assistant, you will need to get your name entered on the state’s Nurse Aide Registry. The only way for you to do that is if you enroll in a certified NA training course and then take the license exams afterwards. 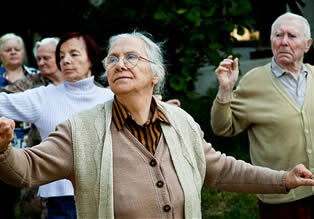 For those that are already working in a care facility, they must do this within 4 months from the start of their work. Courses are required to be authorized by the state in order for them to be accepted instruction. Currently they must offer a total of 75 hours or more of theoretical classwork, and 100 hours or more of skills practice. Those who successfully complete their course will be able to schedule a time to take the competency exams to receive their certification and entry into the state registry. If you are a CNA that is currently registered to a different state’s NA Registry, you may also transfer and work in Missouri if you want. You will need to send a copy of your out-of-state certificate, a copy of your social security card, contact information such as address and telephone numbers. When you apply, you will also need to provide proof that you had worked for at least 8 hours every 2 years ever since you get certified. Once the Registry receives the paperwork, you will need to wait a few days to get a response. Unlike other states, if you want to apply for reciprocity, you will still be required to take and pass the Missouri nursing assistant license exams. For more information, you can follow this link: http://health.mo.gov/safety/cnaregistry/faqs.php#cmt1. This city is the county seat of Saline County. It is a part of the Marshall Micropolitan Statistical Area. Marshall was named after John Marshall, who was both a statesman and jurist. According to the 2010 census, their total population is at 13,065 people. Marshall has a total area of approximately 10.1 square miles. Its population density is 1,225.4/sq mile. The certified nursing assistant training courses that students can enroll in within Macon, Missouri are shown to you on this page. Courses are designed to provide you with the skills practice and coursework to help you pass the competency examination. Call the school to learn more about joining. According to the law, all those who want to work as a nursing assistant must be registered on the NA Registry. This Registry is a master list of all the nursing assistants who are approved to work as a CNA in the state. It is run by the state’s Department of Health and Senior Services. This list also includes the names of approved CNA instructors and clinical supervisors. The record on the Registry for each individual does not simply contain their names. It also contains other personal and important information such as their social security number, return address, contact number, and others. If there were any significant changes or you have something new to add to your record, you must inform the Registry to avoid any problems in the long-run. For example, if you had your last name changed, you will need to fill out the Update Registry form to inform the NAR. This update does not only apply for nursing assistants but also to clinical supervisors and instructors. You can download a copy of the Update Forms at https://health.mo.gov//cnaregistry/RegistryUpdateForm.html. There are additional certification available to the nurse aide who wishes to pursue them. 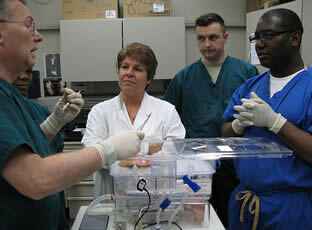 One of the popular advanced certification is the CMT or Certified Medication Technician. To pursue this license the applicant will need to be listed on the register for a period of 6 months or more and complete a CMT course. Contact the MO Certified Nurse Assistant Registry at 573-526-5686 to speak with a representative to learn more. This city is the county seat of Macon County. As of the census of 2010, their population has now reached up to 5,471 people. Macon has a total area of 6.1 square miles, where only 0.3 sq miles of it is water. Its population density is 903.9/sq mile. Earliest records of settlers in Macon dated back to the early 1820s. Joining a certified nursing assistant training program will help you learn the skills required to take the certification exam and take care of residents in a care facility. The available schools in Louisburg, Missouri can be seen listed on this page. For any questions about their classes, feel free to call the number provided. 2. Not have your name on the Missouri Department of Health and Senior Services employment disqualification list or the EDL. 3. Finally, you must also be free of any charges or records that prevent you from working as a nurse aide. To complete a course, you will have to take the final exams. If you completed the 75 hours of classroom lectures and the 100 hours of clinical training but were not able to take the exams, then you still have not completed your training. You will be given 6 months to get back into the course. If 6 months has passed, then your training will be considered incomplete and you must retake the training course all over again. It is also possible to challenge the examination and avoid having to go through a training course. This is for applicants with prior health care experience or knowledge or those who feel they are qualified to pass the exam without training. To apply for this you will need to submit a letter of approval to the Missouri Department of Health and Senior Services. Call them for further details at 573-526-5686. This is a village that is under Dallas County. As of the latest census their total population has reached up to 154. This village is a part of Springfield, Missouri Metropolitan Statistical Area. Louisburg has a total area of 0.5 square miles, where all of it is land. Its population density is approximately 318.4/sq mile. Enrolling in a certified nurse aide school program will enable you to get the skills to help you pass the license exams. You can locate courses available in Lexington, Missouri is the list below. Just call the number provided to get the latest details about signing-up for classes. Passing the license exams is the only way for you to get your name entered on the Nurse Aide Registry (NAR). Only those people whose names are on the NAR are allowed to work in a license nursing facility. In addition, they must also have an active status to be able to work. For those who are already working as a nursing assistant but are still not on the Registry must take and pass the license exams within 4 months from the start of their work. If you took the exam several months ago but are still not on the CNA Registry, then you will need to contact the school or nursing facility where you took your course. You can also ask the association on where they sent your paperwork. You can also contact your examiner for further details. If your paperwork was not sent, then you will need to call (573) 526-5686. If you want to get a copy of your certification, you can do so by requesting it from your certifying association. If you do not know the association then you should contact the Health Education Unit or HEU at (537) 526-5686. You can also go to this link: https://webapp01.dhss.mo.gov/cnaregistry/CNASearch.aspx and find out which association issued your certification. This is the county seat of Lafayette County. It is situated in the western part of Missouri. You can find this city about 40 miles east of Kansas. According to the latest census, their total population has now reached up to 4,453. It is also a part of the Greater Kansas City Metropolitan Area. Its total area is approximately 3.7 sq miles and has a population density of 1,279.7/sq mile. It was founded back in 1822. You can locate the certified nurse aide classes offered in Lebanon, Missouri below. These course will enable you to take the license exam and have met the approval of the state registry. Call to speak with an administrator of the facility to learn more. The basic requirement to be a nursing aide is to get your name on the state’s Nurse Aide Registry. The Registry contains all the names of the nursing aides that are allowed to work in a licensed nursing facility as a CNA, as well as approved clinical instructors and clinical supervisors. The only way to get your name on the Registry is if you pass the license exams. The license exams have two parts, one is the written exam and the other is the return demonstration on selected nursing skills. You will only receive your certification if you are able to pass both parts. For those who took the exams because they received authorization from the Office, they are only given one chance to pass. If they fail, then they must undergo a state-approved CNA training course and take the exams once they completed their training. Those who took the exams after they trained are allowed to retake the exams two times. They must retake the exams within 90 days from their first exam. If they fail to do this, then they will be required to enroll in a new course. 573-526-5686 to get further information. This city is the county seat of Laclede County. As of the latest census, their total population has now reached up to 14,292. It is a part of the Lebanon Micropolitan Statistical Area. Lebanon has a total area of 13.7 sq miles, where all of it is land. Its population density is 1,050.9/sq mile. The city was originally called Wyotaand and was originally inhabited by Indians. The facilities in Lamar, Missouri that are offering certified nurse aide programs to teach you the basics of health care are all listed for you on this page. Through the courses listed here you can get valuable skills practice and coursework to help you pass the state competency examination. 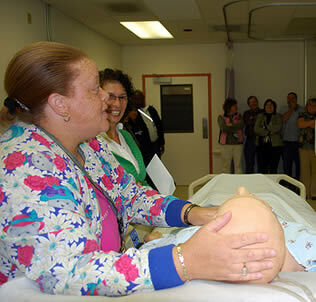 Enrolling in a CNA training classes is important to gain the experience and skills necessary to pass the license exams. The training consists of 75 hours of classroom lectures and 100 hours of training. There is also a two part final exam that you will need to pass in order to complete your training. Your training will only be considered as complete if you were able to finish those three. The state will allow you for up to 6 months to get back and complete your training. If more than 6 months has passed since you last attended your training, you will be required to retake the entire training program. Once you are able to complete your training, you may then apply for and challenge the license exams. If you are already working as a nursing assistant in a licensed facility, then you will need to check with your director and ask if they are able to give the exams. If you are not employed, then you should contact an area vocational technical school that is approved to give the exams. After you are included on the Registry, you must then work for at least 8 hours every 24 consecutive months in order to be eligible for renewal. Failing to renew your license will make your status on the Registry as inactive. If you were not able to work within 5 years, then your license will then be changed into expired. This city is the county seat of Barton County. As of the latest census, their total population has now reached up to 4,474. This city is commonly known for the birthplace of the late president Harry S. Truman. Lamar has a total area of 4.1 sq miles and a population density of 1,154.5/sq mile. Enrolling in certified nursing assistant classes can assist you will gaining the knowledge to pass the competency exams. You can see all of the schools found in Kennet, Missouri in the list below. If you know other state recognized instruction programs that are being offered here, please contact us and we will add them to the page. Taking the CNA license exam is one of the ways to get your name on the NA Registry. Once it is on the Registry, you will then be able to work as a nursing assistant. To be eligible to take the exam you will need to enroll in a school course that is approved by the state or get approval to challenge the exam. To challenge you need to get a letter letter of approval from the Missouri Certified Nurse Assistant Registry. If you decide to enroll in a instruction course it must be state recognized and offer 75 hours of classroom training and 100 hours on clinical skills practice. You have up to six months to complete the course. The license exams are composed of a written and a practical exam. 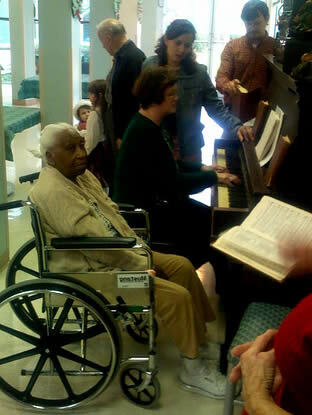 They are conducted either at a college or a nursing facility. Every applicant must be able to pass both exams to get his/her certification. When taking the exams, you must be respectful of the examiner since they have the authority to prevent you from taking the exams that day. If you failed at least one exam, you will be given 2 more chances to pass. If the examiner allows it, you may immediately ask to retake the portion that you have failed. If you want more time to prepare, you will be given a maximum of 90 days to retake the exams. The 2 chances must be used within 90 days from the time that you first took the exams. You will need to renew your license every 2 years to keep your status active and your name on the Registry. This city is situated in Dunklin County. It has a total population of more than 10,707 people, as of the last census. This is also the county seat for Dunklin County. You can find this city about 4 miles east of Arkansas and a few miles from the Mississippi River. It has a total area of approximately 8.7 sq miles and a population density of about 1,691.4/sq mile. The earliest records of inhabitants date back to the early parts of the 19th century. The CNA schools providing classes for vocational students in Joplin, Missouri are shown to you in the list below. Call to learn more about the steps needed to qualify for the competency examination to become certified and able to work. All those who want to become a nursing aide are required to take and pass the license exams. This also includes those nurse aides who are applying for reciprocity. One way to be eligible to take the exams is by completing a state-certified CNA training program. Nursing students who took up the Fundamentals of Nursing may also apply for the exams, so long as they meet the requirements. The license exams are composed of two parts. These parts are a written examination and a skills demonstration on the basic nursing skills and procedures, which will be randomly selected to be performed. To get a certificate and have your name entered on the Registry, you must be able to pass both exams. If you underwent proper training and then challenged the license exams, you will be given 2 additional tries to pass the exams if you happen to fail on at least one exam. You will only be asked to repeat the exam that you failed in. There retakes must be done within 90 days from the time you took on the exams for the first time. For those who immediately challenged the exams by getting an authorization from the Office, they will only be allowed to take it once. If they fail, then they must enroll and complete a training program before they are allowed to retake the exams. Those who have become certified are obligated to renew their status on the state registry every 2 years. This is accomplished by receiving work verification from your employer specifying that you have worked at least 8 hours in the capacity of a nurse aide. You should receive notification prior to your due date and will need to submit the information to the registry to remain actively certified to work. This is a city that is a part of southern Jasper County and Newton County. You can find this city situated on the southwestern corner of the state. According to the latest census, their total population has reached up to 50,559, covering 31.5 sq miles. Its population density is 1,592.1/sq mile. It is considered the largest city in the entire county of Jasper.